From the time you enter this lovely home, you are in awe of the large rooms and beautiful woodwork through the entire home. 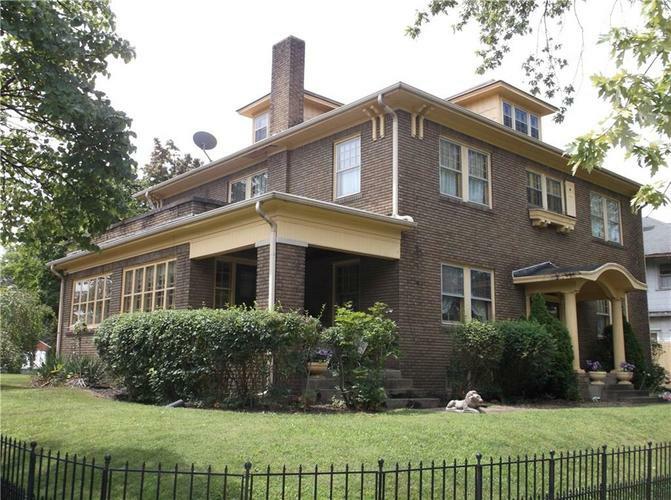 This home boasts of five large bedrooms with a sitting room off of the MBR. Each room is inviting, warm and special. Hardwood floors are under all the carpet. You have access to a bathroom on every floor including the basement. Laundry chutes on every floor make doing the laundry a little more fun. Floored attic and full dry basement lend more storage and living space to this already over 4000 sf of home. All appliances stay including washer & dryer. 2 car garage and central air help make this a must see! Directions:Take St. Rd. 28, which is Walnut St., going East from downtown to home on the right - house sits at the SW corner of Walnut and Clay.